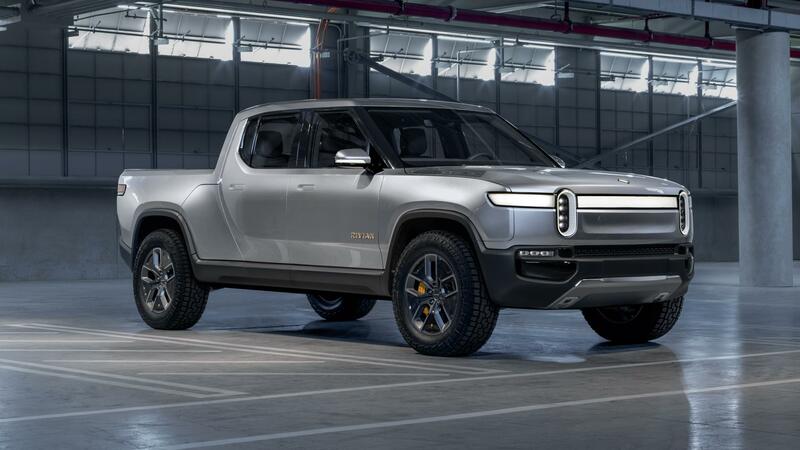 An electric pickup truck was the need of the time and Rivian Automotive seems to have hit the sweet spot with the unveiling of the R1T yesterday. 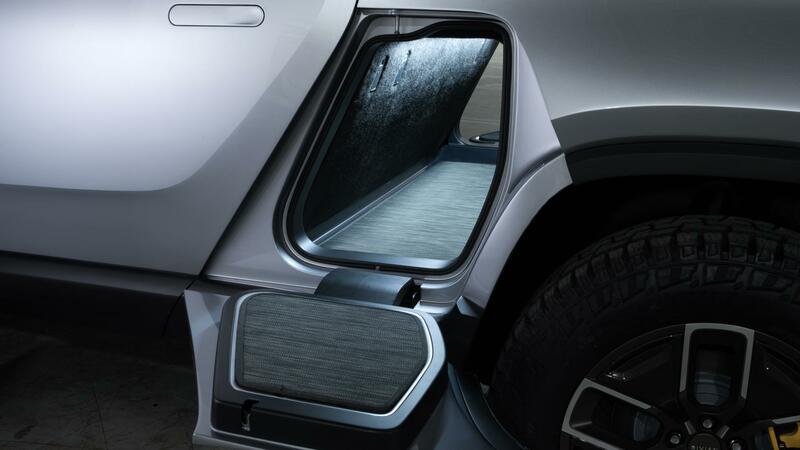 In the absence of a fully electrified pickup truck and Tesla having a lot on their plate already, Rivian’s R1T just might fill the space. 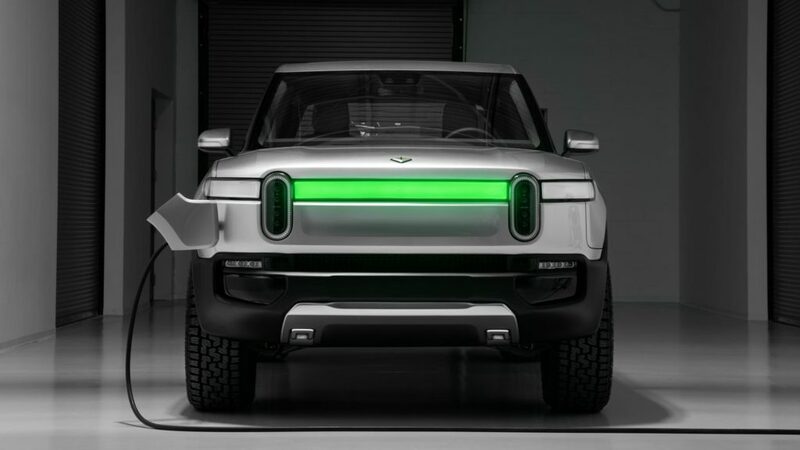 Rivian’s have released some mind-blowing specs and features for their R1T electric pickup truck since the initial unveil, just before it gets showcased at the LA Auto Show 2018. R1T will have 3 variants starting from the flagship 180 kWh model which according to Rivian will have a range of 400+ miles (~644 km) then it gets down to the mid-range R1T pickup truck with a 300+ mile (~482 km) range and last but not the least is the 105 kWh battery pack able to deliver a 230+ miles (~370 km) of electric range (initial spec sheet below). 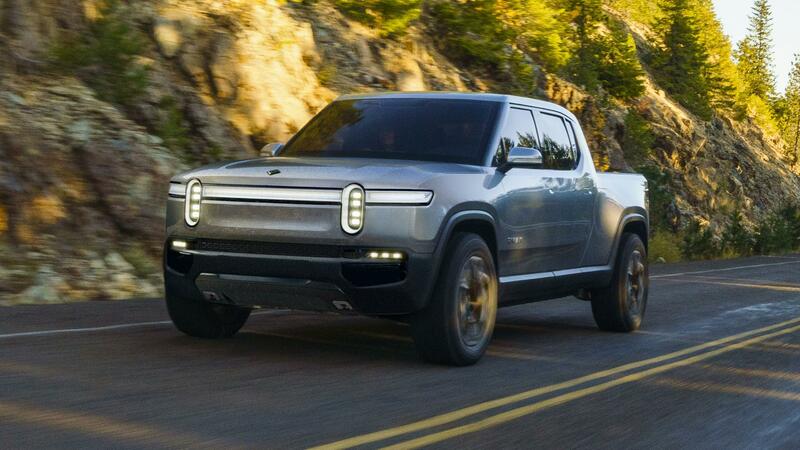 Rivian is taking pre-orders for the R1T electric pickup trucks for a $1,000 deposit with an estimated production start in 2020. Two higher-end variants of 180 kWh and 135 kWh battery packs will be manufactured first, the lower-end variant (105 kWh battery pack) is estimated to arrive in 2021. 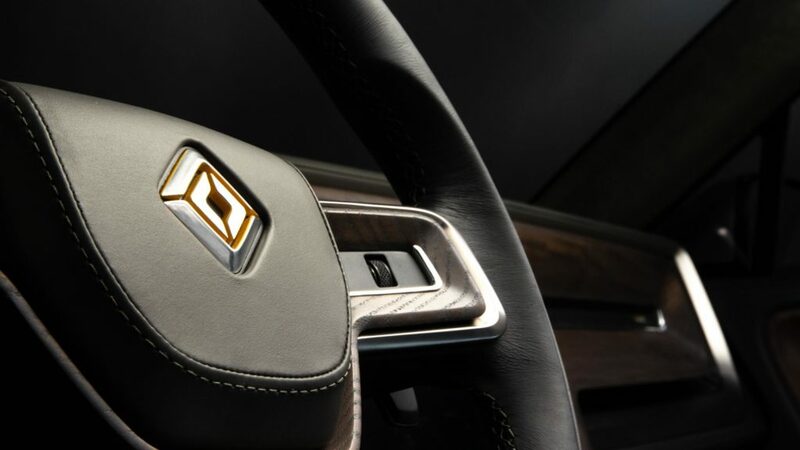 Rivian is based in Plymouth, Michigan, according to an earlier story by Motor Trend, the electric vehicle startup has a manufacturing facility in the works, founded in 2009 Rivian seems to have spent a lot of time revealing their first product. 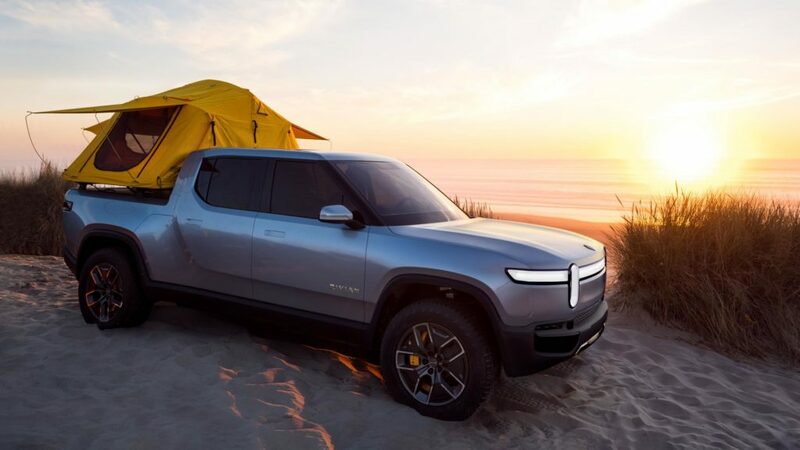 However, this is great news for tree huggers, car enthusiasts, pickup truck lovers, camping and adventure aficionados that another player is entering the electric vehicle manufacturing space. 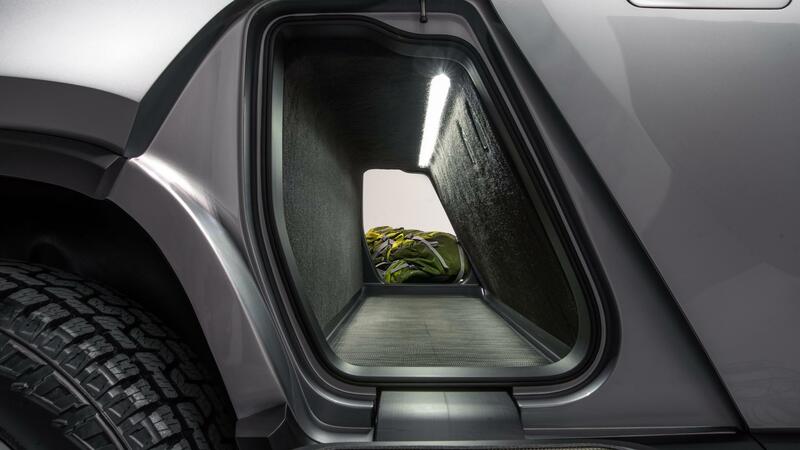 Rivian has introduced another unique cargo space feature in their R1T pickup which they call a ‘Gear Tunnel’ (photo below) with an impressive cargo space of 350 Liters (12.3 ft³), the frunk space is also significant with a 330 Liter (11.65 ft³) capacity. 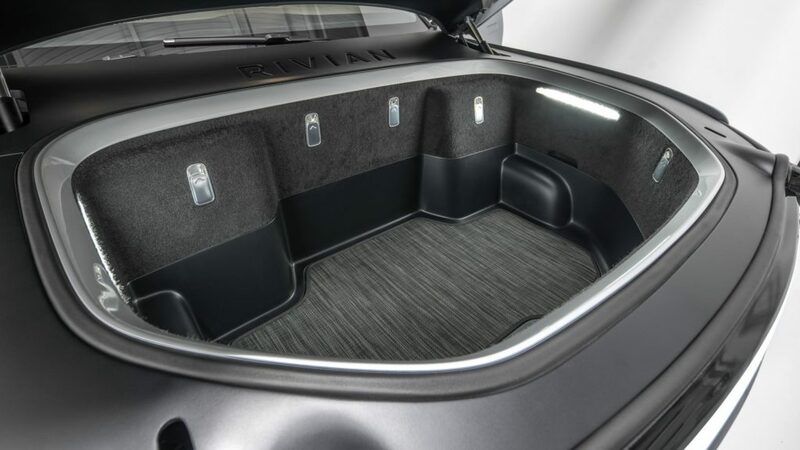 The Gear Tunnel cargo space is truly an innovation here that is never before seen, the team at Rivian was able to create a large hole under the passenger cabin and the bed of the truck that is usable as a luggage area. 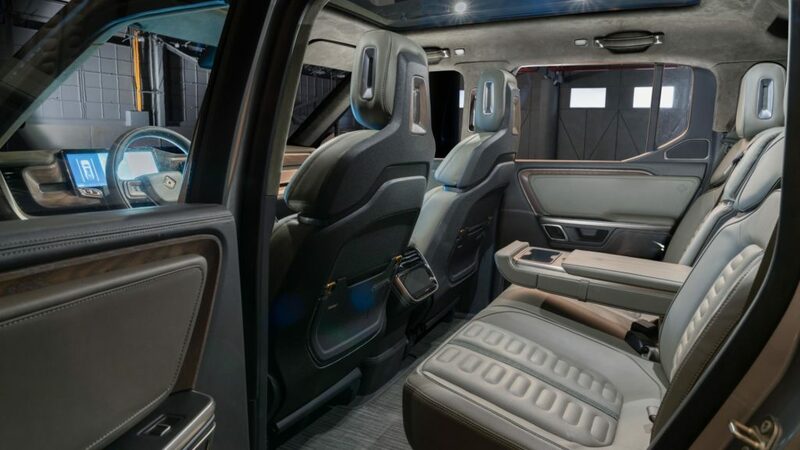 Charge port of the Rivian R1T is at the front of the concept vehicle (as seen in pictures above) and yet it is located on the passenger side not the driver’s one, a bit odd for convenience but this might change in the production vehicles, we need to wait and see. 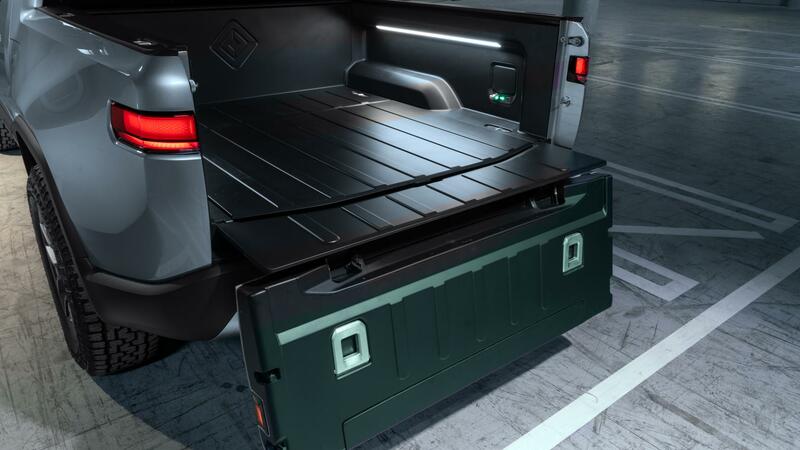 R1T electric pickup is able to take DC fast charging of up to 160 kW which adds up to 200 miles of electric range in 30 mins, the vehicle is also equipped with an onboard charger capable of 11 kW Level 2 fast charging. Four electric motors form the Rivian R1T’s drivetrain setup, creating up to 14,000 Nm of grounded torque, yes this truck is one of the most powerful electric vehicles we have seen yet, maybe just behind the Tesla Semi Truck. 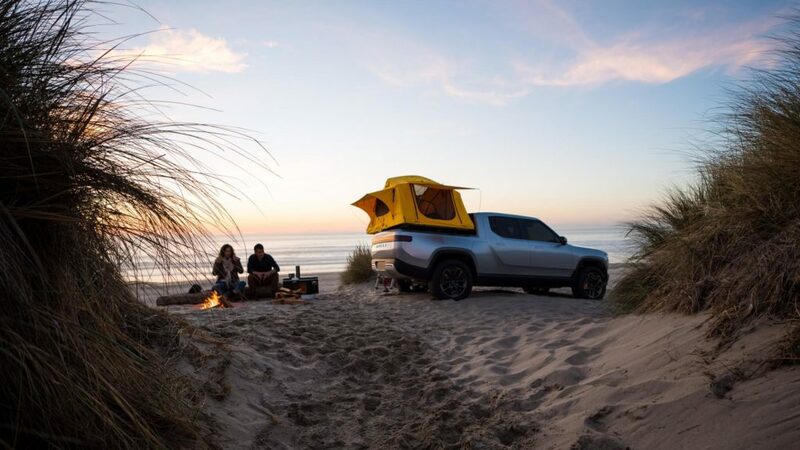 R1T has a towing capacity of 5,000 kg (~11,000 pounds) which will actually come handy in attaching trailers on camping and long travel trips, 110 v power outlets in this electric truck will also add to the fun of getting lost in the wild. 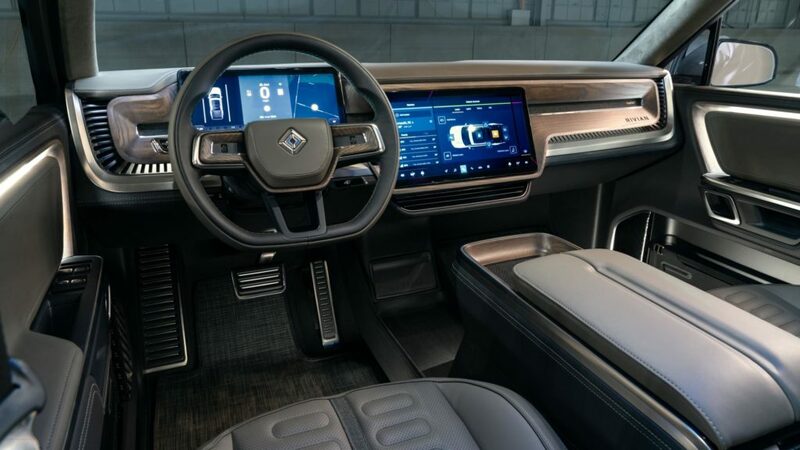 You might have noticed some similarities between Tesla interiors and the Rivian R1T prototype electric pickup truck in the photos above, the 15″ center screen and a massive 12″ instrument cluster, also the steering wheel has no controls but scroll-wheels same as the ‘Tesla Model 3‘, maybe designers at Rivian are inspired by the big brother in the game. 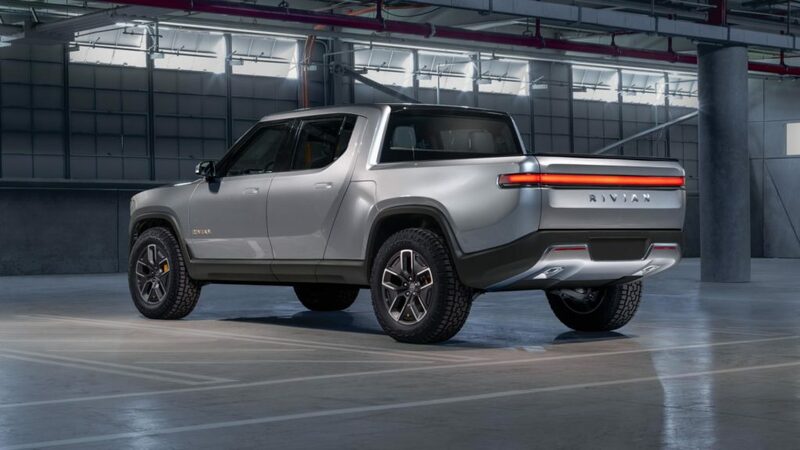 Let us know what you think about this new stunning and powerful prototype electric truck from Rivian, while the company is on the verge of unveiling the R1S SUV in just about an hour from this writing that we might cover tomorrow. 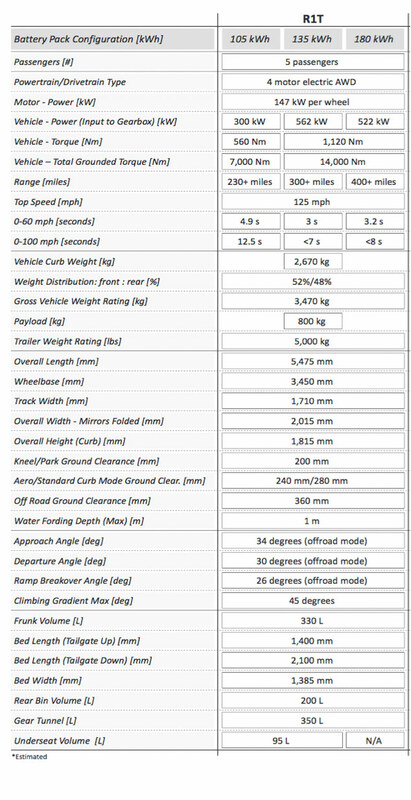 Rivian R1T electric pickup truck initial specifications sheet.